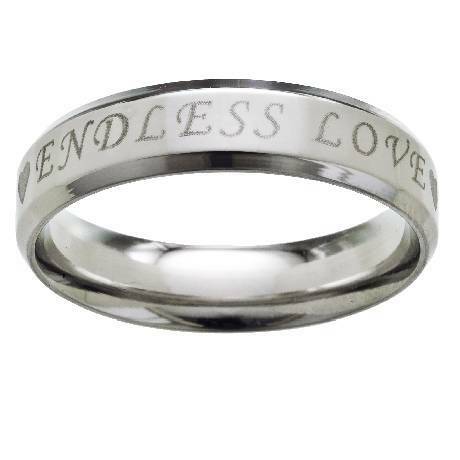 This 316L Stainless Steel ring features the inscription "Endless Love" lasered on the ring with a heart at each side of the inscription. 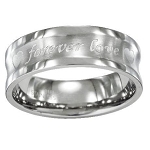 The ring has a high polished finish and is set off with a beveled edge. This ring was better than what was described on the site. Beautiful inscription. Highly Polished and great craftsmanship. Received within 3 days. Great service, arrived in 3 days safe and sound, ring was in a red little gift box, which was a surpise to me, i didn't even have to wrap it. Great Deal!! !